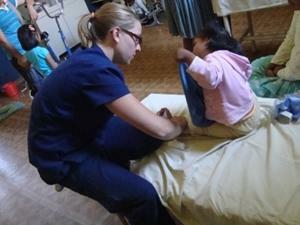 This voluntary physiotherapy project provides treatment for patients in and around the city of Cochabamba. The main focus of the project is a burns unit that treats children under the age of 16. The project is perfect for anyone qualified considering voluntary work abroad or physiotherapists on a career break. Roughly 70% of Bolivia’s population live below the poverty line and struggle for access to medical care. We work with the Hospital Viedma which provides treatment to anyone who needs it, regardless of social status. The burns unit plays a vital role but lacks resources and can use help from qualified physiotherapists. 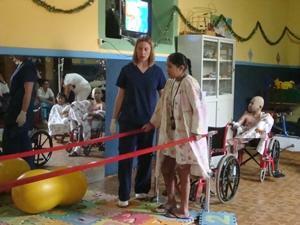 How can volunteer physiotherapists help in Bolivia? Working with patients to identify the physical problem. Assisting patients with joint and spinal problems. Helping patients' rehabilitation following accidents, injury and strokes. Educating and advising patients and their carers about how to prevent and/or improve their condition. Producing a treatment plan when caring for children to teach the parents how to carry out exercises. Holding workshops for local physiotherapists on subjects such as introducing new techniques for specific burns treatments. Organising and running training clinics for Projects Abroad volunteers working with other centres (optional). The Hospital Viedma has modern facilities such as a new women and children’s section. However, the burns unit is quite run down and the funding provided is very low. The Burns Unit is located in the Paediatrics department. It has 4 bedrooms, one of which is converted into an ICU if needed (each bedroom has between 2-5 beds). It also has bathrooms for staff and patients, a surgery and cleaning room, a dressing and preparation area, and a basic physiotherapy room. You will be expected to work from 8am to 4pm, Monday to Friday. You will also get the chance to take part in physiotherapy workshops run by Projects Abroad. While this project focuses on the burns unit, we do work with other medical institutions. If you have a particular area of interest or expertise then please let us know. You will gain experience of working in a foreign environment with a lack of resources. You will be dealing with fairly traumatic cases and this will improve your ability to work under pressure. You will also get the chance to work alongside Bolivian professionals and share ideas about the way they treat patients. You will learn about Bolivian culture and way of life through speaking to your new colleagues. Staff and patients will want to hear about your life back home and your family and friends. We call this ‘cultural exchange’ and we think it helps our volunteers gain a new perspective on life. Safe accommodation with a Bolivian family close to your project. If you have completed at least a Bachelors Degree in Physiotherapy then you are perfectly suited to this project. If you are interested in this project but don't have the relevant experience, then please read about our regular Physiotherapy project in Bolivia.